Have you ever thought Big Data could predict the time of your death? Recently, I encountered an App in Facebook which asked me certain questions like “how frequently do you exercise? Do you drink/smoke?” and then gave me a year when I will die. Many of you also would have encountered such similar apps. How do they work? These apps use certain equations that mix actuarial tables with specific facts about one’s health, age, lifestyle, hazardous activities or hobbies and even criminal, financial or driving records to calculate an approximate date of death. These apps and other death time/Mortality calculators are going to evolve to a whole new level with the help of Big Data. In fact, insurance companies have long relied on an equation to calculate the probability of death to separate risky people (i.e., sick or likely to become sick) from desirable people (i.e., healthy and likely to remain healthy), before they sell insurance policies. Life insurance companies call the process “underwriting.” But today, with the explosion of data and advanced tools, mortality calculators are getting a lot better and sophisticated. Companies can analyze all sorts of data from natural deaths, accidents, suicides, violent deaths and deaths resulting from natural disaster to medical history, activities on social media, mobile phone usage, criminal records etc to make a prediction. How are companies able to do the death prediction? Most companies assess mortality risk using predictive analytics that extends beyond the limits of standard actuarial methods that can assess mortality risk only from a handful of factors such as age, gender, smoking and drinking habits, Body Mass Index, and psychological outlook. Predictive analytics can include a greater range of factors, and to combine them for each individual being predicted using more sophisticated mathematical models. Now, there are three fairly well-known reasons to predict when an individual’s death will come. Life insurance: Life insurers have been pioneers in the field of personal analytics for more than 100 years and they predict the demise of individuals as prices policies vary according to predicted life expectancy. Healthcare: Healthcare predicts death to help prevent it. Predictions are used to advise on the risk of deaths in surgery based on the current condition, previous medical history, drug prescriptions etc to help in making medical decisions. Statistical tools might detect diabetic patients with the highest probability of hospitalization in the following year based on age, coexisting chronic illnesses, medication adherence, and past patterns of care. Law enforcement and military: The US army conducts research to analytically predict terrorist attacks and assess the soldiers’ risk for suicide after hospitalization. New evidence from a study in the US army suggests that the analysis of the data obtained from soldiers hospitalized for mental problems can lead to improvements in predicting who is at highest risk for committing suicide. These are just a small fraction of the ways that companies/organizations are using data to predict the time of death and our behavior. 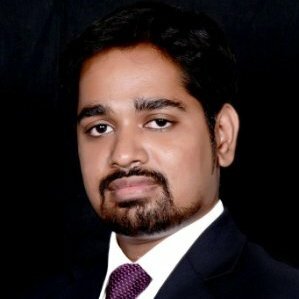 Raghav Radhakrishnan is a blogger and post graduate student at Great Lakes Institute of Management, Chennai. Can Fintechs take banks to the edge of innovation?